According to the new statutes, you can get involved in the Network in many different ways. 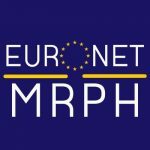 How can I be part of Euronet MRPH? ​These are the countries that are part of Euronet MRPH at the present time: Croatia, France, Ireland, Italy, Netherlands, Portugal, Slovenia, Spain, Turkey and United Kingdom. The country where you are attending your Public Health residency program or traineeship will be taken into account and not your nationality. If you wish to be even more involved – National commission member, board member, leader – please consider contacting your National Commission. They will give you any information you need. To become and active member, please fill out the form below and click send. If you are responsible or member of a national association of resident physicians or trainees in Public Health in Europe (WHO definition of Europe) and you want your association to join the Network, let’s talk! You can write an email jointly to mrphnet@gmail.com, president@euronetmrph.org and vicepresident@euronetmrph.org. Individual members can apply to the EuroNet MRPH association! They will not be regarded as a National Commission – therefore they'll have no voting right - but they still have a role withing the network and a lot of opportunities for enrollment. If you want to apply as an individual member, please write an email jointly to mrphnet@gmail.com, president@euronetmrph.org and vicepresident@euronetmrph.org.